Started working in glass in 1978 at Studio One Art Center in Oakland, CA. Janet Hiebert’s formative years were spent in the mid-western United States. Born in Illinois, living briefly in Iowa and spending fourteen years in Kansas shaped her artistic vision and spiritual values. She studied drawing, painting and ceramics in college at CCA (formerly CCAC) and received a BA in Studio Art from California State University East Bay (formerly Cal State Hayward). Among her early artistic endeavors are: freelance greeting card writer, designer for the advertising industry, graphic artist, and book illustrator. The last thirty-four years have been devoted to exploring glass starting with stained glass and then evolving into kiln fired glass. 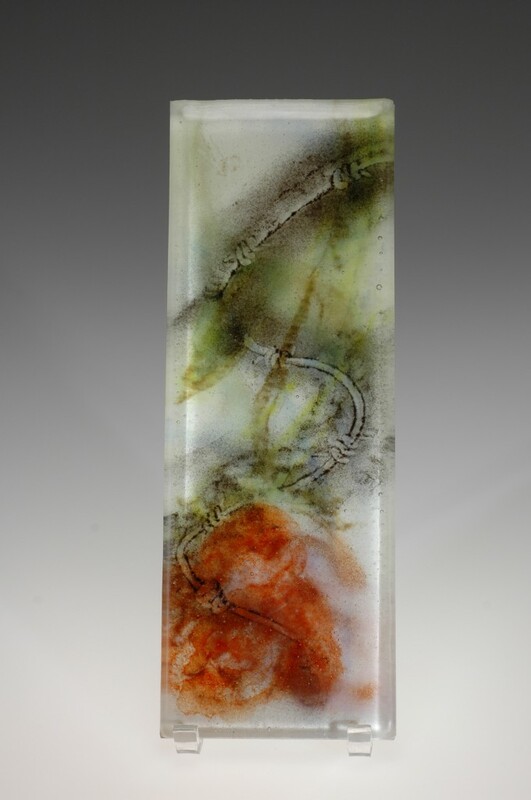 She has studied with noted glass artists, Dan Fenton, Albinas Elskus, Catharine Newell and Richard La Londe. 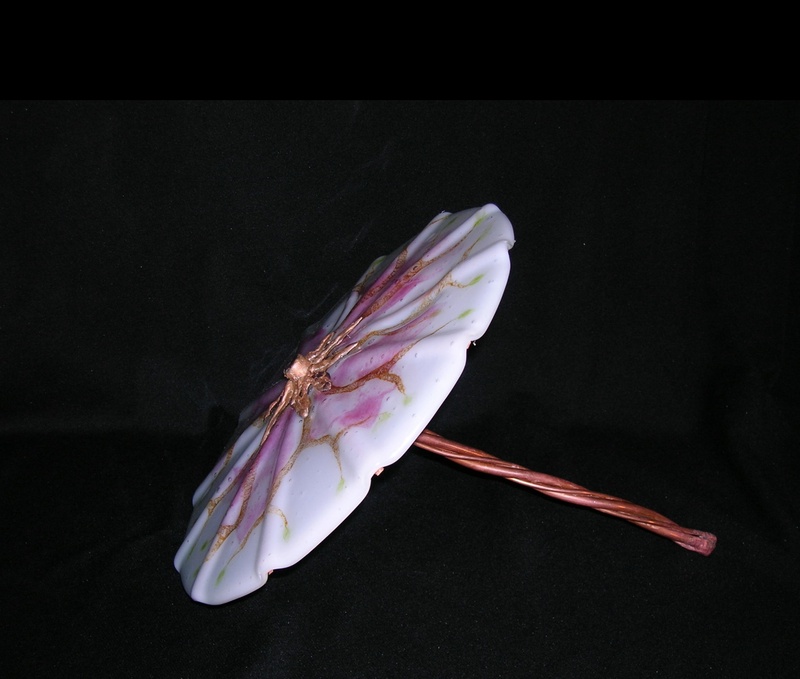 These artists have helped to form and influence her glass art creations. The past twenty-eight years have been devoted to teaching Stained Glass and Glass Fusing and Slumping in Bay Area art centers. These include: Piedmont Adult School, Walnut Creek Civic Arts, Richmond Art Center, and currently, Studio One Art Center and The Crucible. Additionally, she has completed numerous stained glass commissions for private residences. She coordinated the Studio One Art Center Gallery for six years and was a partner in Hot Flash Glass Studio in Berkeley, California for seven years. She is married to Billy Hiebert and they have two sons, Ian and Arlan, and one granddaughter, Meghan. She presently works in her studio to create her personal glass visions and exhibits and sells her work in local galleries.